In today’s article I will show you a very simple tweak that can highly improve your search engine visibility and get a lot more clicks (+Traffic) to your website. A verified Google My Business (GMB) page is something that is overlooked by most martial arts school websites, but very important and easy to setup. Just to give you an example of how effective this can be, I recently created a Martial Arts School Website through Website Dojo for a client who is still under contract with a competitor, who also controls their domain. My client is not sure they want to wait out the contract, so they purchased a new domain for me to build a website on. The site we created for obvious reasons was not on “Page One” of Google for the relevant keywords, as it was too new of a site and a domain to rank on top of results like the already established school website. I quickly realized the site did not have a verified Google My Business Page, so I went through all the steps to set it up and verify it, linked my “Page 3” Website to it, and my “new” website started to receive almost daily leads! That’s because my Google My Business result was on page 1 and linked directly to my new website. Keep reading to find out more. ‘Google My Business’ is a free listing service Google offers all businesses to provide complete information for themselves online. If a business did not have a website for example, a GMB listing would still allow them to have a proper search result presence.Let’s dig a little deeper and find out why GMB is so important for your Martial Arts School.First and foremost, a Google My Business profile is FREE! If you do not currently have a verified GMB listing, or are not sure, scroll to bottom of the page to get our step by step guide. 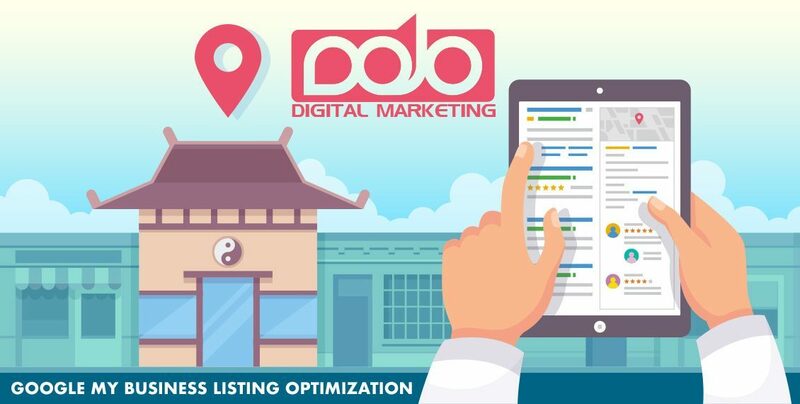 Creating a GMB profile is what will allow your martial arts school to appear as a result of local Google searches by potential clients looking for your services. We want to optimize your SEO and this is the first step to getting started. Did you know that when someone is searching on Google for a product/service from a mobile device, they usually click the Top 3 ranked business listings without scrolling down the page? Having your GMB page optimized will help you maximize your visibility. Your GMB profile is one of the factors that will help your school place in the local 3 pack under the Google Map Results, which for a local business is actually even more important than ranking your website, as it is one of the first results users see. Ideally you want a Map Result alongside an organic result, see below. If you are a marketing Ninja, you will also have an AdWords result ABOVE the Map. Creating a GMB profile sends strong signals to Google that your business is relevant to what the user is searching for, and also positively affects your website rankings. If you are running Google AdWords to help your website get more traffic and leads, in order to activate certain AdWords features you will need to link your verified listings. This way you can show your hours of operations as an ad extension, and also place Local Search Ads which is a new feature in AdWords that helps you skip the line by placing an “Ad” under the map results. Reviews. Reviews. Reviews. Although the web offers a multitude of places existing clients can review your business, encouraging your students to review your school via Google is extremely important because it helps improve your ranking associated with results when someone searches for a martial arts school. Once your GMB profile is active you can start asking for reviews right away and watch your search engine visibility and conversions improve! You can improve your local rankings by building CITATIONS: This is the process of entering your business in directories that will make your local search engine visibility JUMP, and most importantly this is what gets your business listed in the top 3 Map Results!!! You can request a Citation Building Quote from WEBSITE DOJO, it’s important to know that you must be very careful who you purchase Citations from as they can actually hurt your Google listings, so stay off Fiverr and companies you don’t know or trust. Improve your local rankings by building Citations. I have created a handy Step By Step Guide that walks you through the process of setting up and optimizing your Google My Business Listing!!! Even if you think you have it already taken care of, this is something you should go through or have a staff member review and make sure your GMB is fully setup. Click the image below to Access the GMB Guide!